Take Action to Prevent a Hidden Income Tax Increase! TAXES ARE ABOUT TO GO UP FOR HUNDREDS OF THOUSANDS OF KANSAS HOMEOWNERS. When Congress is considering legislation that affects the real estate industry, NAR calls on all of its members to act. Simply by contacting your Member of Congress through e-mail or a phone call, you can ensure that your business remains strong. The SEKAR, KAR and all NAR members join together and speak with one loud, powerful voice. 1. Sign up to get a mobile alert when NAR needs members to speak out about an issue. Click here to sign up. 2. Get the REALTOR® Action Center Mobile App for Android and iPhone! Search for “NAR Action Center” on the iTunes Store or Droid Market and download the app today. 3. 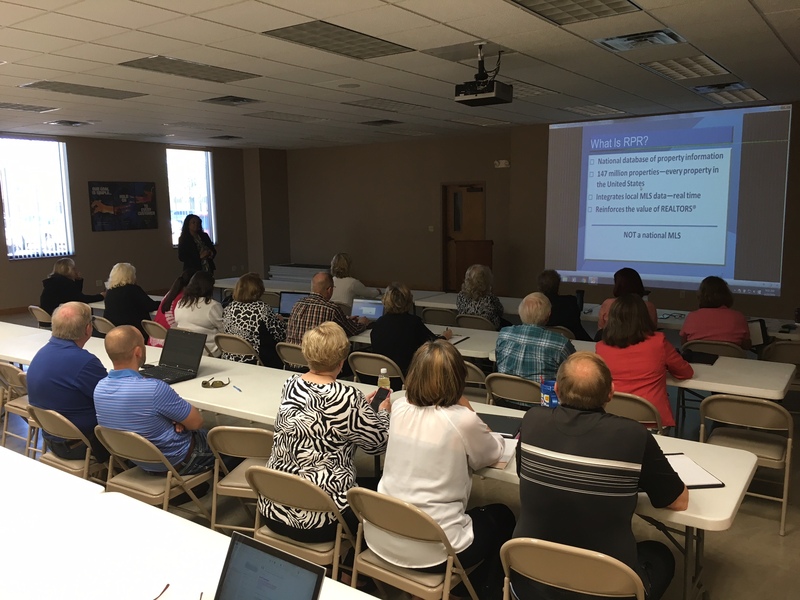 Join the Broker Involvement Program and get quick tools to rally your agents when a critical issue needs their attention. Quick means you don’t have to do anything more than forward an email to your agents to get more members to participate in the Call to Action. The regular portion of the 2016 Legislative Session is complete. The Kansas Legislature will now take a few weeks off before returning for the wrap-up session in late April. All legislative action should be completed by mid-May. timates over the next two to three months, the Kansas Legislature may consider increasing income or sales taxes to balance the budget. If the Kansas Legislature attempts to increase taxes, they may try to make further reductions to the ability of state income taxpayers to claim the mortgage interest and property tax deductions on their state income tax returns. Eliminating these two very important deductions would lead to a tax increase on Kansas homeowners. 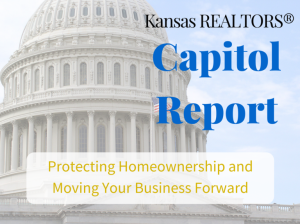 KAR will push the Kansas Legislature to do no harm to the recovering real estate market by opposing attempts to reopen the state income tax reform debate. Economic growth depends on a stable investment environment with a consistent tax code. The Kansas Legislature will need to take action sometime in the next few months to close a projected budget deficit for fiscal year 2017 (starts on July 1, 2016). We will monitor discussions on the budget to defeat any effort to increase income tax revenues by making further reductions to the ability of Kansas homeowners to claim their mortgage interest and property tax deductions. Over the last 18 years, the property tax burden on Kansans has increased by three times the rate of inflation. In 2015, the Kansas Legislature gave voters the right to vote when cities and counties increase property taxes by more than the rate of inflation over the previous year. The property tax vote requirement is not currently scheduled to go into effect until January 1, 2018, which gives cities and counties a free pass to increase property taxes over the next two years without a public vote. In addition, the law is riddled with exemptions that are too broad and do not relate to growth and development. KAR will push the Kansas Legislature to move up the effective date of the property tax vote requirement on property tax increases to this year and to remove a few of the overly broad exemptions to the law. An agreement has been reached with cities and counties to move up the implementation date of the property tax vote requirement by one year to January 1, 2017, to eliminate several loopholes to the law and to add several new exemptions to the law that will allow cities and counties to respond to disasters and respond to development and growth. We anticipate the Legislature will take action on our legislation (Senate Substitute for HB 2088) during the wrap-up session. Advocacy groups are pushing local governments to adopt “inclusionary zoning” requirements, which would establish sales price limits on a percentage of all new housing units constructed in new housing developments. These “price controls” act as a tax on new housing units and can lead to a significant decrease in the number of housing units built and an increase in the cost of market-rate housing for Kansas families. 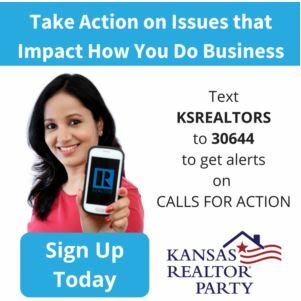 KAR will ask the Kansas Legislature to protect consumer choice in the real estate market and promote affordable housing for middle-class Kansas families by passing legislation to prohibit cities and counties from adopting or enforcing price control mandates on privately-owned property. ges made to the bill by the Kansas House, a conference committee has been appointed to discuss these changes and develop a final version of the legislation. We anticipate the Legislature will pass SB 366 when the Legislature returns for the wrap-up session. Homes sales rose by 73.3% in February compared to the prior year. Sales in February 2016 totaled 52 units, up from 30 in 2015. Among existing homes, 51 units sold in February, an increase of 75.9% from 29 units that sold in 2015. The average sale price of existing homes was $80,296. This represents an increase of 28.0% from the February 2015 average price of $62,707. For new construction, 1 sales occurred in February, essentially unchanged from the prior year. The average sale price of new homes in February was $269,000, up 540.5% from the same period last year. A total of 58 contracts for sale were written in February 2016, up from 52 in February 2015. This is an increase of 11.5%. Contracts written during the month reflect, in part, sales that will close in the near future. The inventory of active listings in the Southeast Kansas stood at 552 units at the end of February, which is up from 510 homes that were on the market at the end of February last year. At the current rate of sales, this figure represents 10.6 months’ supply of homes on the market.